Former Indian bowler Anil Kumble has always been a gentleman. He achieved a legendary status for himself after a stellar bowling career. His aggression during a game was visible through his bowling. He was always known for his calm demeanour on the field. Anil Kumble might not be regularly active on social media but whenever he is, it tends to grab eyeballs. This time around it was his reply to his ardent fan that got social media talking. 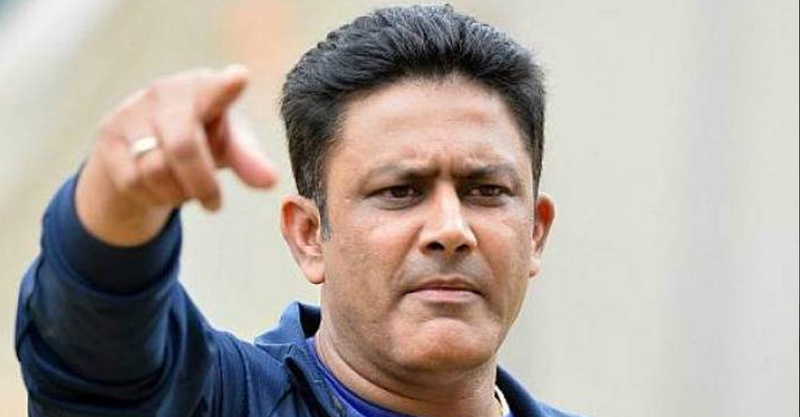 The fan had tweeted to Anil Kumble saying she was on the same flight. “The legendary Anil Kumble in my BLR-MUM flight. Glanced at him once and was reminded of that game in West Indies where he bowled with a bandaged jaw. Teared up a bit. Gawwddd, I’m such a sucker for cricket memories”, she posted. She further wrote, “I want to go up to @anilkumble1074 and say a ‘Thank You’ for all the joy, all the victories, all the memories. But, I am getting cold feet”. The legendary @anilkumble1074 in my BLR-MUM flight. Glanced at him once and was reminded of that game in West Indies where he bowled with a bandaged jaw. Teared up a bit. Gawwddd, I’m such a sucker for cricket memories. Kumble ended his playing career with some mind-boggling records to his name. In the 132 Tests that he played for India, he took 619 wickets at an impressive average of 29.65 and is the third highest wicket-taker in Tests. Sri Lanka’s Muttiah Muralitharan (800) leads the pack while Australian legend Shane Warne is second with 708 Test wickets. In the limited-overs format, he has 337 ODI wickets and 57 T20 wickets.